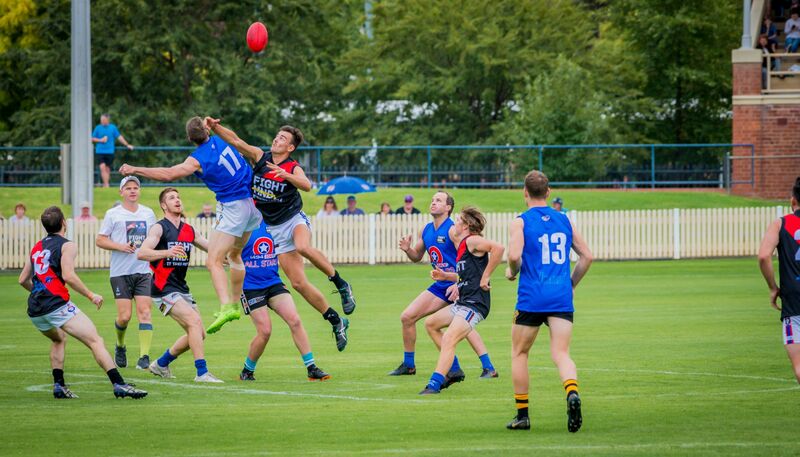 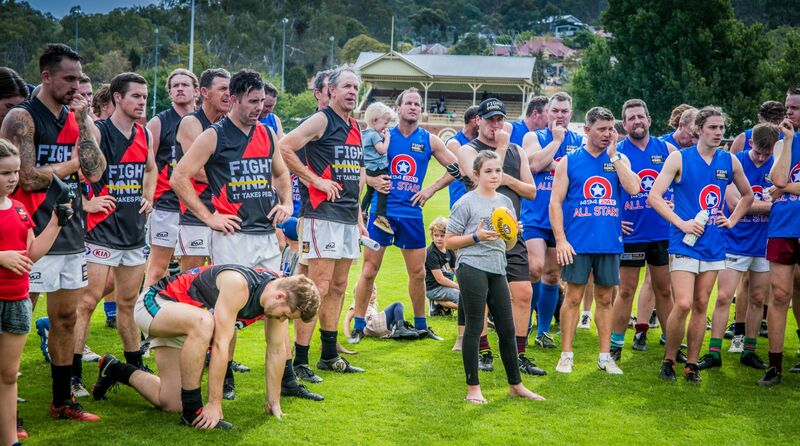 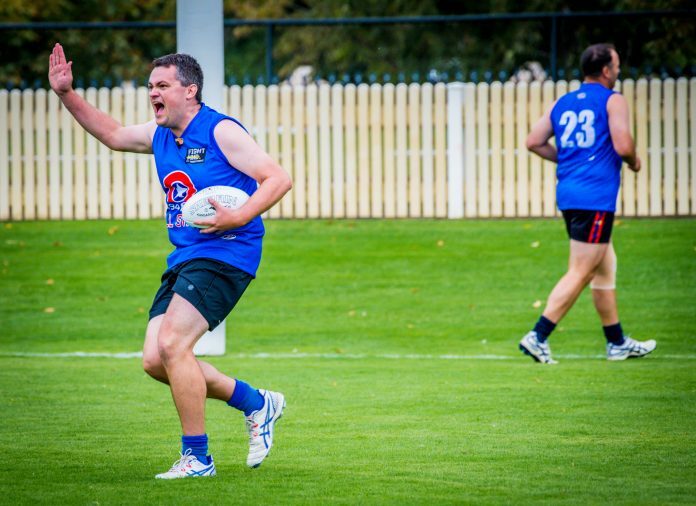 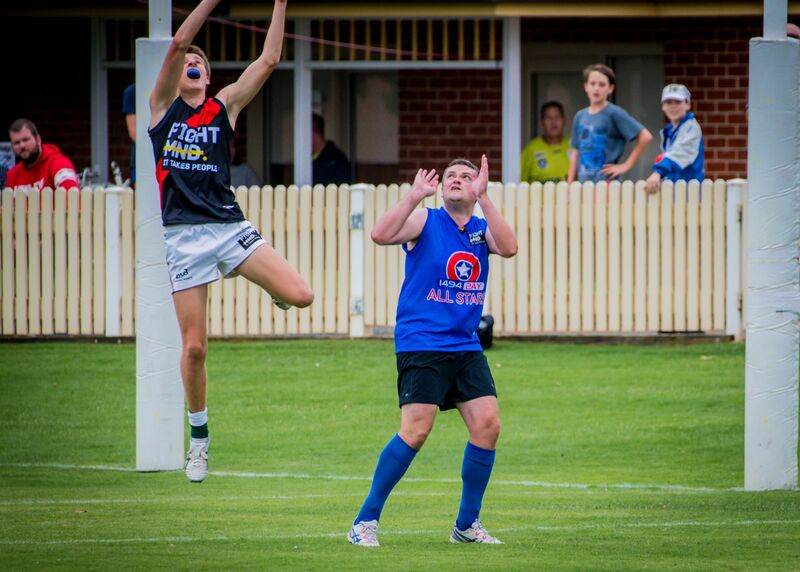 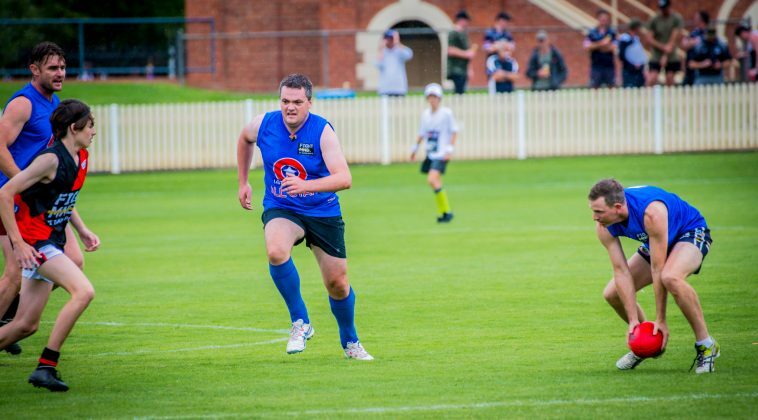 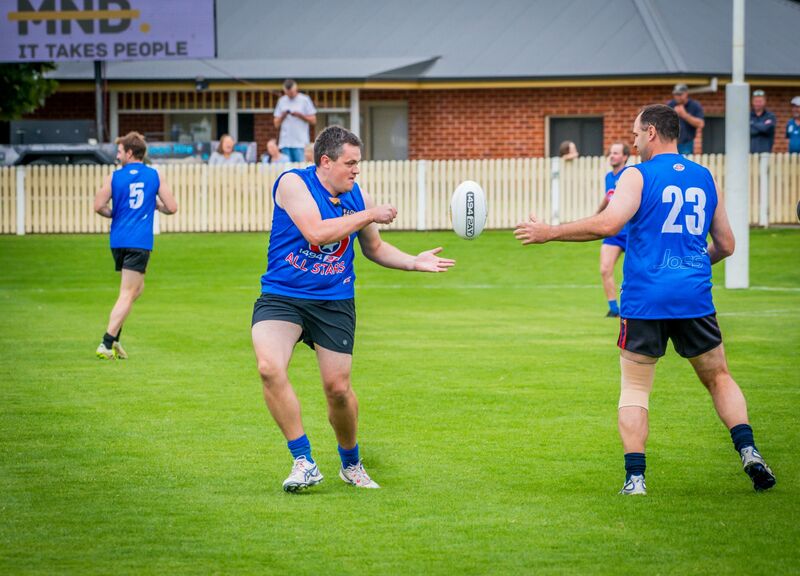 An Aussie Rules footy team made up almost entirely of members of the famous Daniher family, took on the 2AY All Stars in a footy match at the Albury Sports Ground as part of a fundraiser for FightMND. 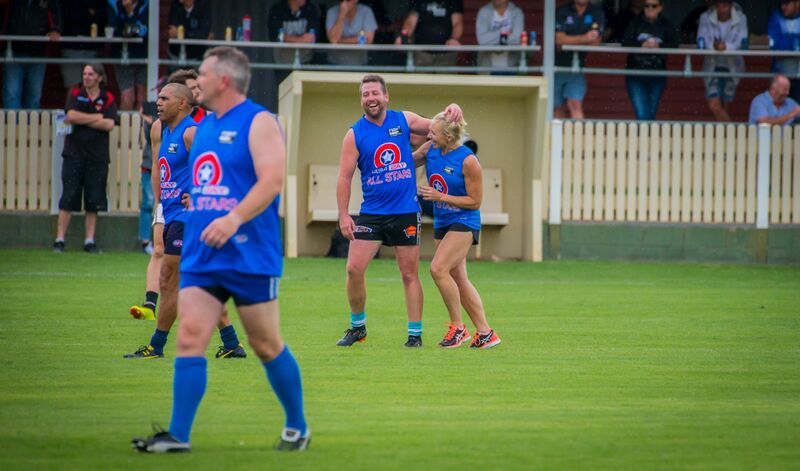 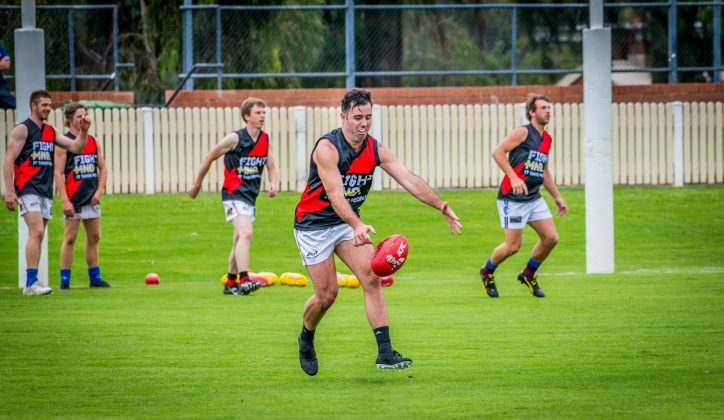 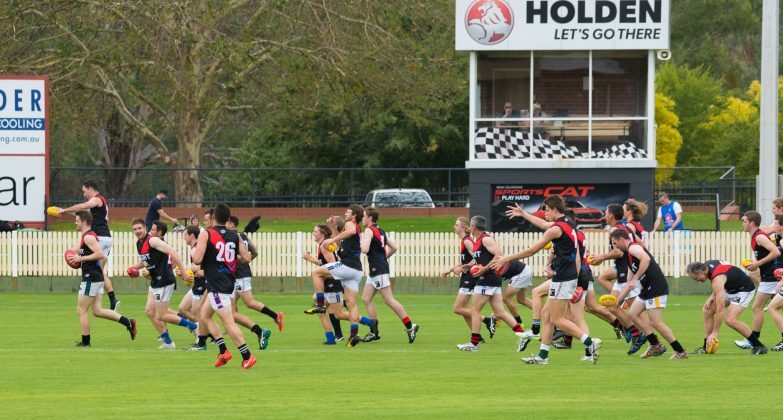 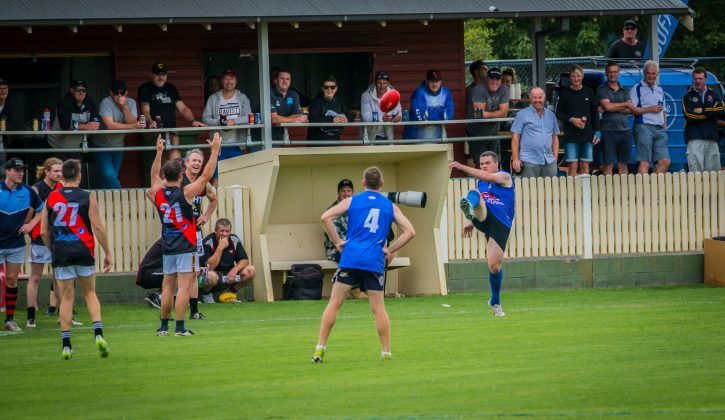 The Daniher team was led by famous bomber Terry Daniher, (who scored the first goal of the day – not bad for a 61 year old), while the 2AY All Stars included breakfast personality Kev Poulton who made his footy debut. 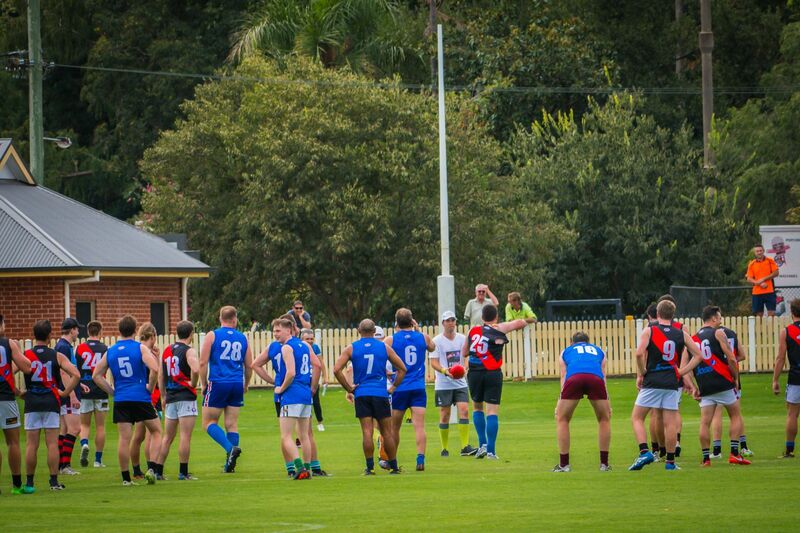 The Danihers were victorious in a low scoring, but hard fought match. 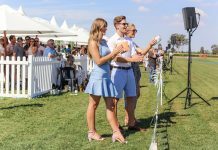 Neale Daniher was also hand at the end of the match to accept a whopping cheque of more than $70,000 dollars, with more donations still coming in. 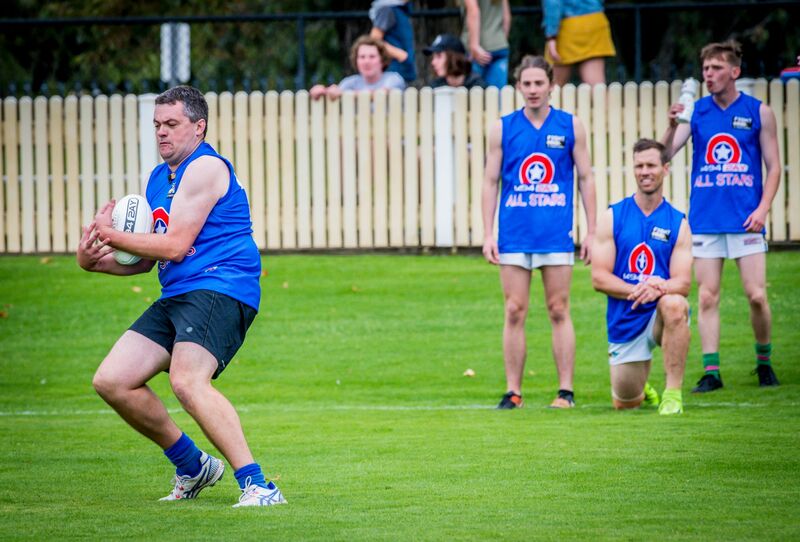 Kev's proud of this hand ball drill, but has he peaked too early? Does this kick count as a stat for Kev?